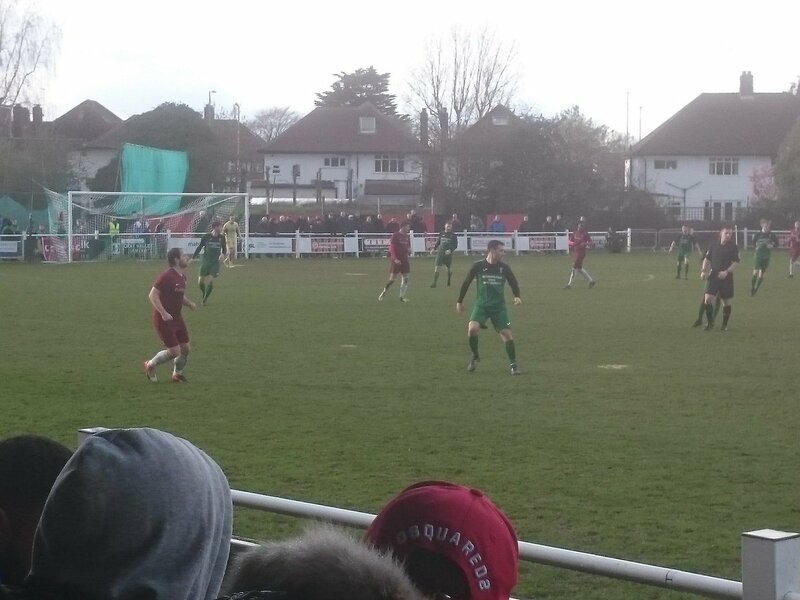 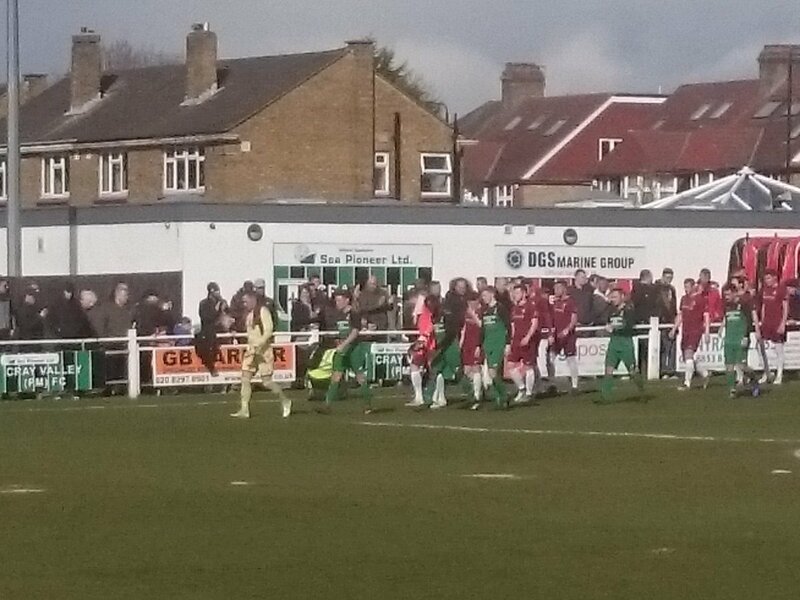 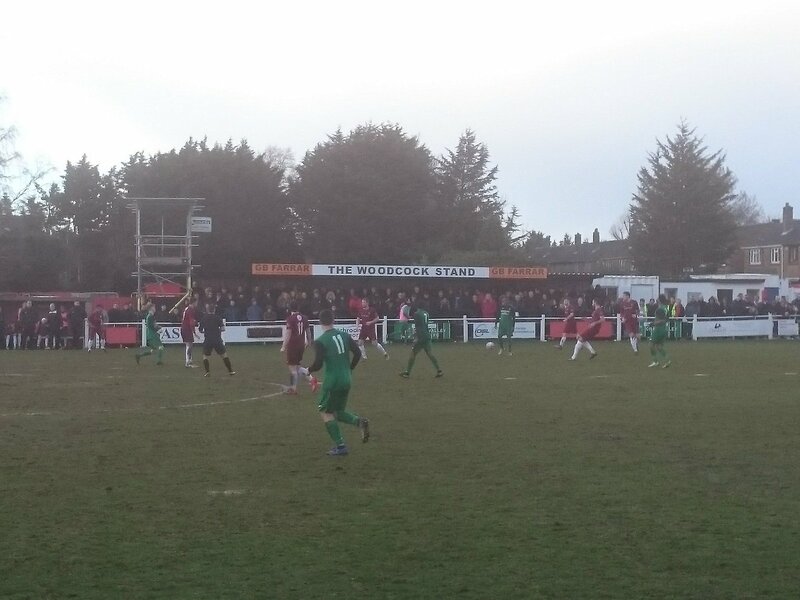 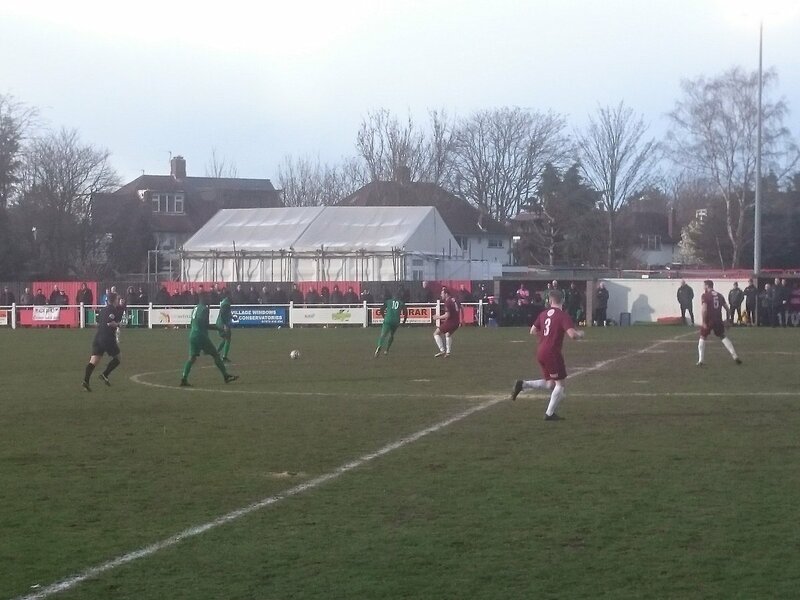 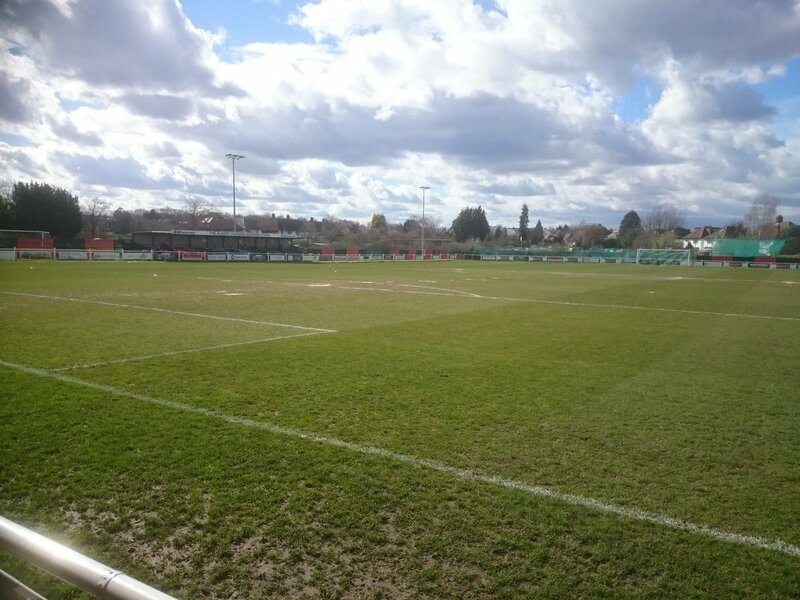 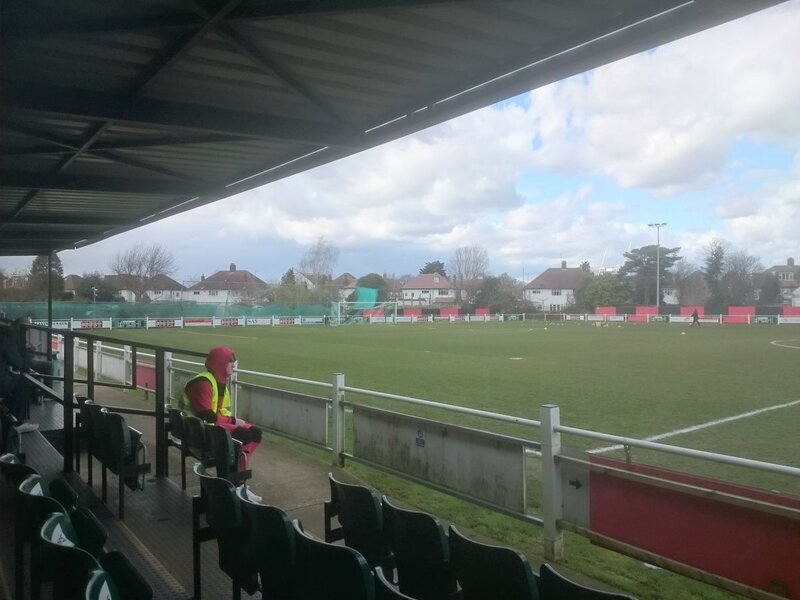 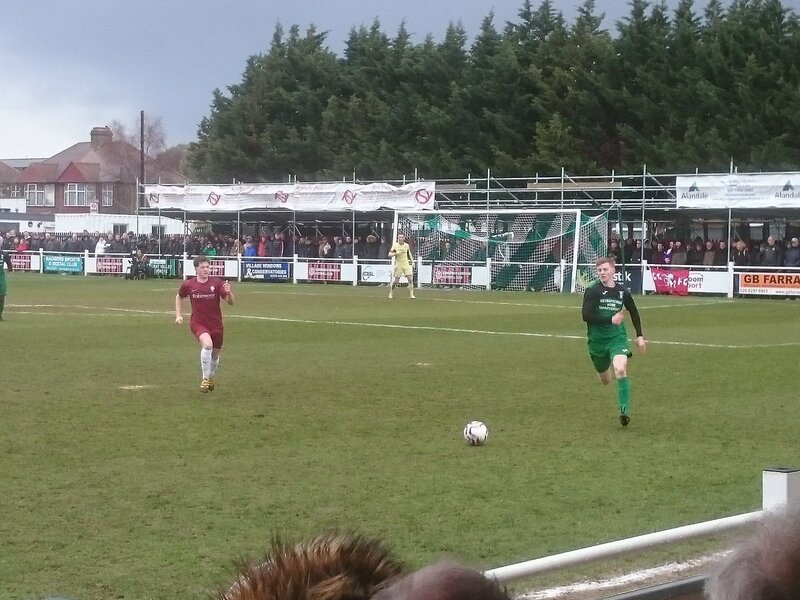 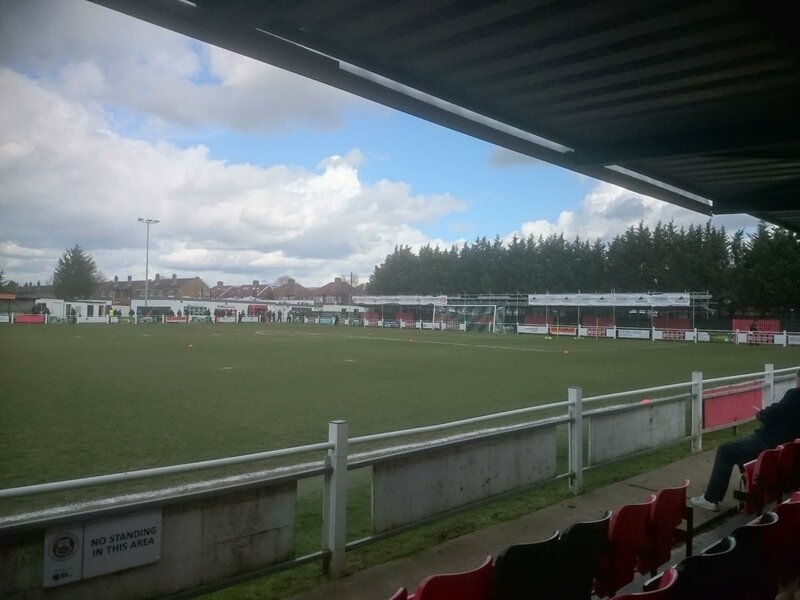 Ryan Flack’s 54th minute strike was enough for Cray Valley (PM) to defeat fellow Kent League side Canterbury City in their Buildbase FA Vase Semi-Final First Leg encounter at Badgers Sports Ground, meaning the hosts take a slender lead into next weekend’s second leg in Faversham. 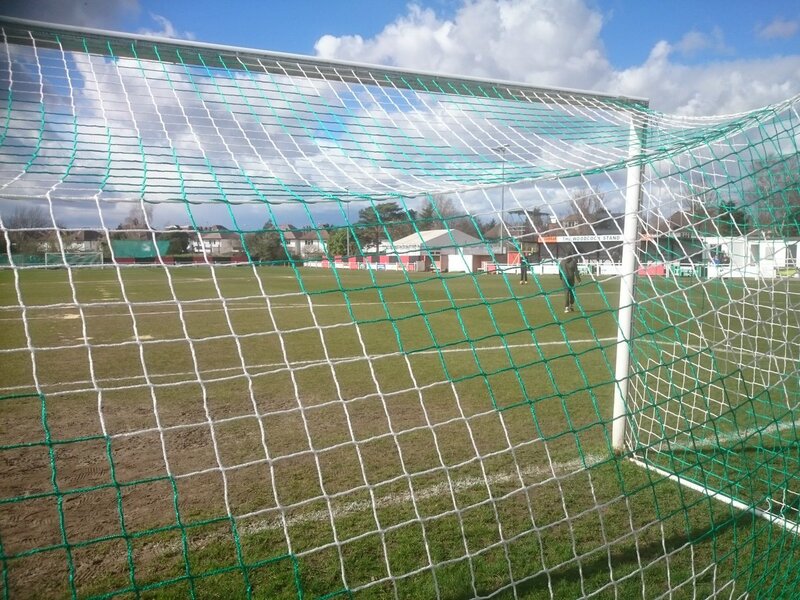 The sides sit 2nd and 8th in the Southern Counties East Football League although the head to head records suggested a home win here, and to be honest most felt the home side started as favourites to win this two-legged affair. 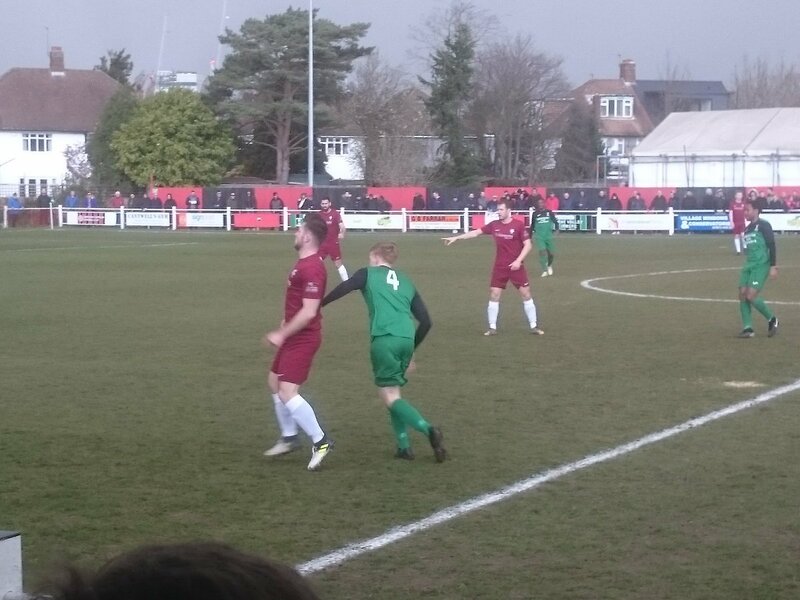 But this is cup football and a huge semi-final, and also the teams knew each other fairly well considering they do come from the same division, so this could easily pan out differently to what people felt it would. 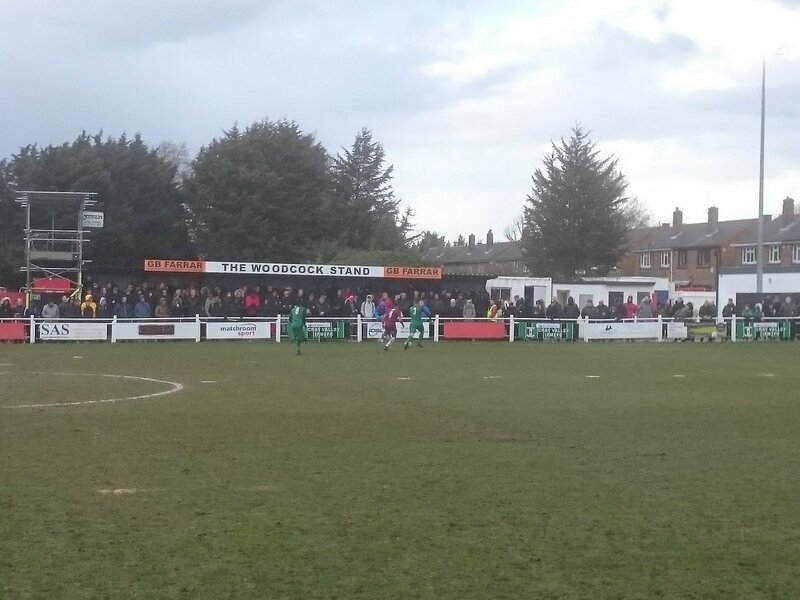 And a record crowd for Cray Valley (PM) of 663 were in attendance to see if their sides could gain an advantage to take into next weekend’s second leg, and it was the visitors who had the first effort at goal when Adam Woolcott’s long-range effort was straight down the hosts keeper Andy Walker’s throat. The hosts then sent in a cross towards Kevin Lisbie, but the ex-football league forward, now at the ripe old age of 41, could not get his head to the cross, before a visitors throw on was flicked into the area by Mobalaja Dawodu caused issues before it was eventually cleared, and then soon after Dean Grant headed wide of the home sides post. Oliver Lee then burst through the hosts defence but his effort at goal was weak and straight at Walker, before down the other end Ashley Sains sent a header towards the Canterbury goal but after a scramble, the ball ended going out for a goal kick. 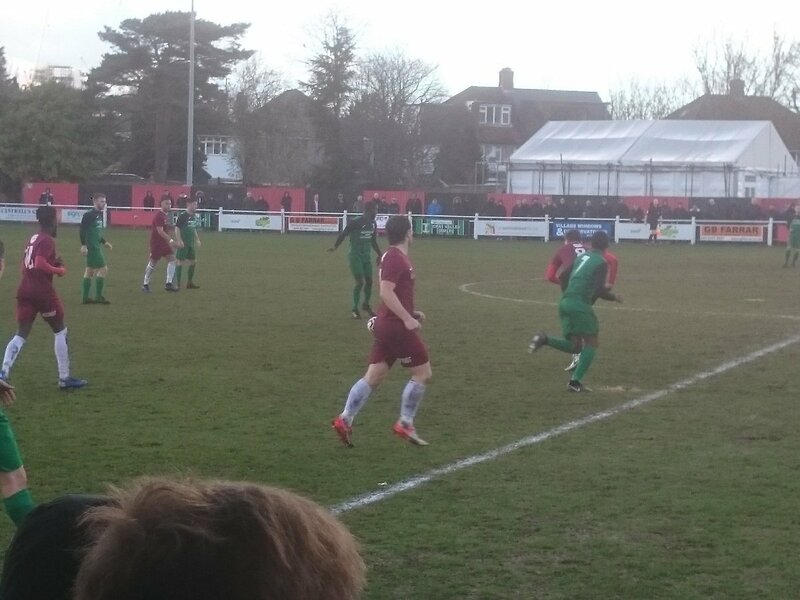 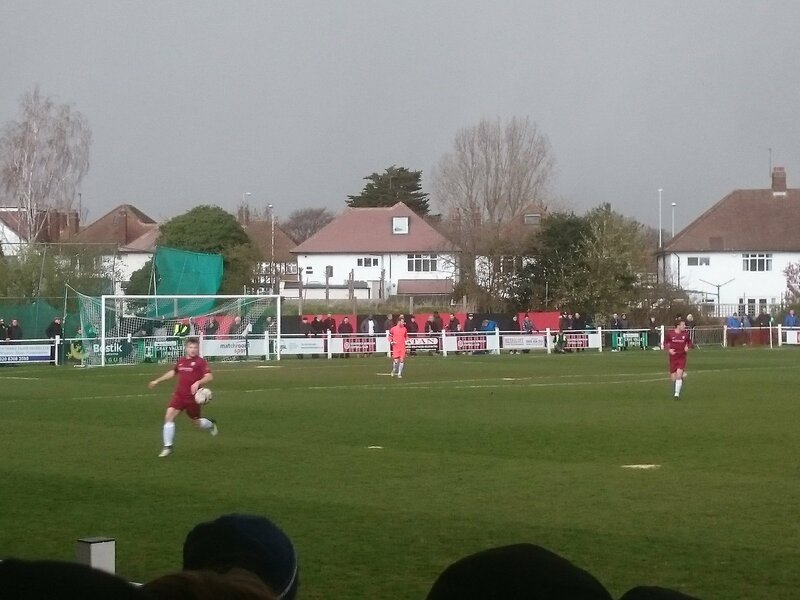 The visitors then managed to get in down the left through Dawodu but again saw Walker beat away the effort, meaning the game remained goalless at the break although the visitors would have been the happier of the two sides thus far. The hosts attacked early on in the second period and saw a Gavin Tomlin effort deflect across the dangerzone and away, before down the other end Grant got in down the right but his cross was cut-out before keeper Walker dived on top of the ball to snuff out any further danger. Nine minutes into the second half though came the breakthrough, and it was the hosts who grabbed it, as Flack ran at the back-line of Canterbury, but they backed off, allowing the attacker to run to the edge of the area before sending a bobbled effort into the corner of the net and seeing Cray grab the advantage. 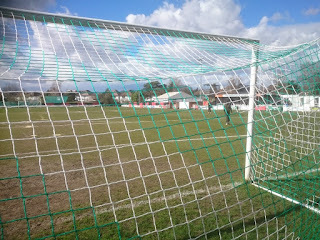 The hosts were screaming for a penalty after claiming a foul inside the box, but the referee deemed it simulation which resulted in a booking for the home side, and then a free-kick into the Canterbury box saw Sains climb to send a header at goal, but it was weak and was fairly comfortable for Jack Delo to save. After that initial burst after their goal, the hosts saw Canterbury begin to threaten again, and after Grant had sent an effort straight at Walker, the visitors missed a golden chance when after Grant had got in down the left, he cut the ball back to Dawodu who only had to tap home, but he totally miscued his effort straight into the grateful arms of Walker. The hosts themselves then had a golden chance to take control of the tie when Tomlin managed to get in after a defensive slip, but he saw his first effort saved by Delo before his second goal-bound attempt was blocked, and then Tomlin got down the right soon after and crossed for Anthony Edgar whose first-time flick sailed just over the Canterbury bar. 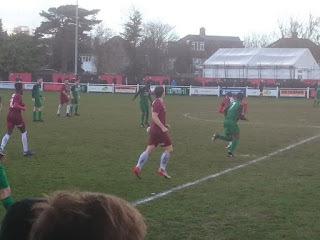 Grant then attacked down the hosts right, but saw his effort deflect over the bar, before the visitors went close again as a ball into the six-yard box was almost converted by Grant, but brilliant defending thwarted him. 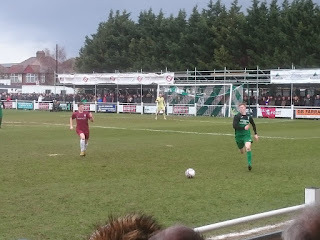 Cray seemed happy to hold onto what they had as the game entered it’s final few minutes, but they almost paid the price as Canterbury missed two golden chances in stoppage time to level up the tie, firstly when Grant ran onto a flick on but saw his effort saved by Walker, before full-back Ryan Cooper also got in but again Walker was there to beat away the effort. It all meant the hosts held on just about to win this first leg and take a slender one-goal advantage to Faversham’s Salters Lane Stadium next weekend, but the visitors, who will feel they should have been at least level going into the second leg, will have high hopes of turning this one around. It’s all set up nicely isn’t it!! !